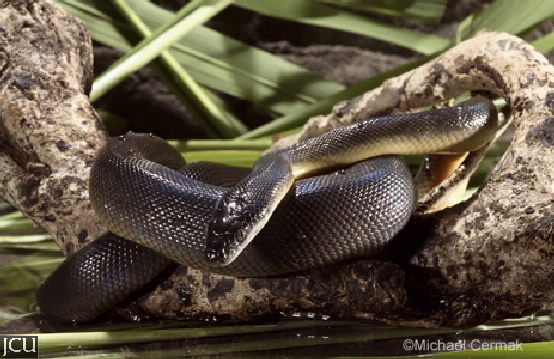 This snake is found in open forested areas particularly near water, it preys on mammals, birds and other reptiles. The very shiny body may be in different shades of brown including olive-brown and grey-brown. The belly is cream to yellowish.